Before Anderson Archival, there was Anderson Technologies. It might seem strange that an IT company would branch into digital archiving, but the story behind this expansion showcases what clients of both firms know about us: integrity, dedication, and client focus are core values at the heart of all we do. Our hallmarks include expertise and quality service because your satisfaction is how we define our success. Anderson Archival came to fruition because we learned the hard way that sometimes to do a job right, you really must do it yourself. As Anderson Technologies, we provide far more than managed IT services support. When a client approached us years ago to digitize a large collection of documents for research purposes, we utilized our technical management capabilities to facilitate the project. Identifying appropriate partners in the required disciplines to properly execute the project was harder than we anticipated. We eventually teamed with a local vendor to scan and restore the images and handle the optical character recognition (OCR) to convert pictures to text before we performed the document data tagging, software engineering, and quality assurance. As the vendor delivered data to us, we identified numerous quality issues. They produced work that was not up to the high standards we needed for the collection. Missing pages, poor scan quality, and inaccurate conversion to digital text caused us to double check everything and send a great deal back to be redone. As the project continued, we realized we could have done things correctly the first time by bringing the tasks in-house. The experience taught us a great deal about digitization services, and we learned it takes more than technology to create a quality digital library. Anyone can get the best scanners or software on the market, but without dedicated employees, efficient systematization, the proper work environment, and an unflagging commitment to quality, the end result suffers. For example, we later discovered the vendor only required a high school education for its staff. The goal of these workers, who were crammed together elbow-to-elbow in a conference room, wasn’t to produce the best product they could, but to push pages out the door as quickly as possible. We also learned they didn’t have the necessary tools to facilitate the detailed quality control needed for the images. Though their scanners and software were excellent, their monitors were too small to display the entire page without being zoomed out so far that the image became useless for a quality check. By the time the project was complete, we learned many lessons on how not to digitize historical documents for quality search results. When another client approached us with a project to digitize historical documents, we knew using traditional scanning vendors would produce inaccurate results. This time, we were going to do it ourselves and do it right. There is far more to digitizing a precious collection than simply scanning the pages. Our clients want extremely accurate search results, which means the images must be converted to text via OCR and labels (or tags) need to be inserted to guide the search engine to produce relevant feedback. This requires not only the correct software, but a great deal of time and attention to detail by those transforming the data. It is important to select a firm who will treat your collection with the same focus and enthusiasm you do. Working with a third party who doesn’t cherish the opportunity to preserve your documents causes the end result to suffer dramatically. 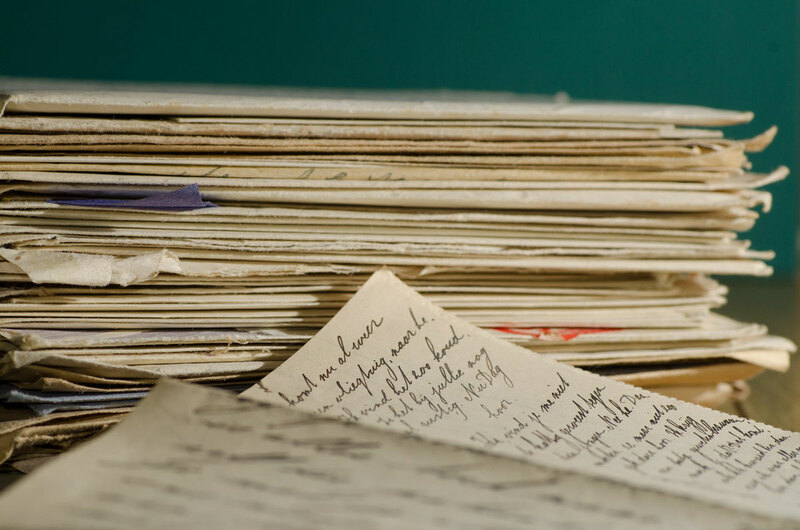 Keep an eye on our blog to see how we applied these lessons and expanded into the business of historical document digitization. If you want to turn your collection into a quality digital library with the most accurate search results, contact Anderson Archival today at info@andersonarchival.com or by phone at 314.529.1900. What do Bitcoin and cryptocurrencies have to do with archiving? The technology cryptocurrencies are built on – the blockchain – is drawing attention from those who seek to innovate within all industries, including archival. This is especially relevant for the future of the archival community, as blockchain holds a potential solution to problems of impermanence and authorship. Many institutions, such as the UK government’s National Archives and Civil newsrooms, are considering and advocating the merits of blockchain-based repositories. While these proposed repositories do not yet exist, in theory they could ensure continued, unalterable preservation through embedding full text or original image scans into the fabric of the blockchain. As purveyors of archival collections know, there are potential problems that can plague digital and physical archives. Blockchain technology provides a theoretical answer for two of those problems: integrity of authorship and permanence. The simplest explanation is that blockchain allows for the average person to trust the authenticity of the digital world. The blockchain is a collection of transactions. “Each new block references every block before it—so changing one block corrupts the whole chain,” says Blockchain for Grandma. Powerful computers perform randomized math to build the blockchain, and each block in the chain is permanent, immutable, and static. In the case of Bitcoin or other cryptocurrency on the blockchain, a transfer means another entry on the chain, which keeps a record of its creation and every transfer in its history. The massive network maintains its own integrity, confirming and double-checking every creation, or transfer. Blockchain embeds authentication into the document itself, and protects against tampering and modification. In essence, this works similarly to file-sharing services like DropBox or OneDrive, where local copies synchronize changes across all those with access. Permanent digital records offer an enticing solution, especially in a world where records may easily be accidentally or maliciously deleted. Consider this scenario: A student writing a paper on Chaucer cites what is stated to be the original text reprinted in a textbook. Another student is able to present another instance of the so-called original text in an anthology, but that excerpt has changes. Obsessing over the disparity, the students track down other versions of that same “original text” to compare them. They discover that in one early printing, a comma was added and the spelling of a word modernized. Some textbooks reprinted the text prior to this printing, and some used the modern printing – all claiming to contain the original text. Had this scenario unfolded on the blockchain, clear record would exist of the creation, editions inserting changes, and where copies originated. However, in the physical world, it is often unclear just where words have come from. According to the Chicago Manual of Style, when conducting research, multiple sources should be used to confirm facts. Whenever possible, it recommends going back to the original source. How do you know you have an original? Aside from consulting an expert, signals of authenticity in the real world include watermarks, signatures, and embossed seals. This recommendation is intended to circumvent the type of error-introduction shown above. But when this vigorous research is not conducted, how much print and research is then tainted by incorrect publication of facts or text? When a digital library offers original pages with searchable text, the integrity of that text is placed implicitly in the hands of the archivist. Many times, historical documents only exist physically as single-copies that are inaccessible to researchers. Digital scans can easily introduce errors or inaccurate information if an archivist’s agenda strays from true preservation. Ultimately, there is very little beyond trust that guarantees a digital library is a valid source, displaying the original. But when dealing with important topics, trust and integrity might not feel like enough. Blockchain-like records or blockchain itself could provide a solution. Until now, blockchain has only been practical for ultra-simple archiving processes, such as embedding text into a cryptocurrency transaction. The technology and means for widespread use in digital archives simply doesn’t exist. However, that may soon change. In a strictly archival sense, the UK National Archives is testing how blockchain might create a way to verify the accuracy of archived documents through a project called ARCHANGEL. The project is intended to directly combat the problem of digital storage becoming obsolete and inaccessible, and is currently in development stages. Focusing more on the journalistic side, Civil newsrooms propose utilizing blockchain technology in two ways. The first ensures that published content in approved newsrooms is permanent and maintains a permanent link to authors and facts. The second uses CVL token transactions, owned and transferred by members of the Civil community, to indicate which newsrooms are trustworthy and eligible to remain on the Civil platform. The biggest barrier to entry with Civil and CVL is the learning curve. If the public doesn’t understand the process of utilizing blockchain in journalism and digital archives, the worth of that technology drops, and a failed first launch attempt has proven that. Because blockchain has such a steep barrier to understanding and entry, it isn’t likely to take the world by storm any time soon. And because one of the purposes of creating digital archives is access, blockchain isn’t a feasible solution yet. 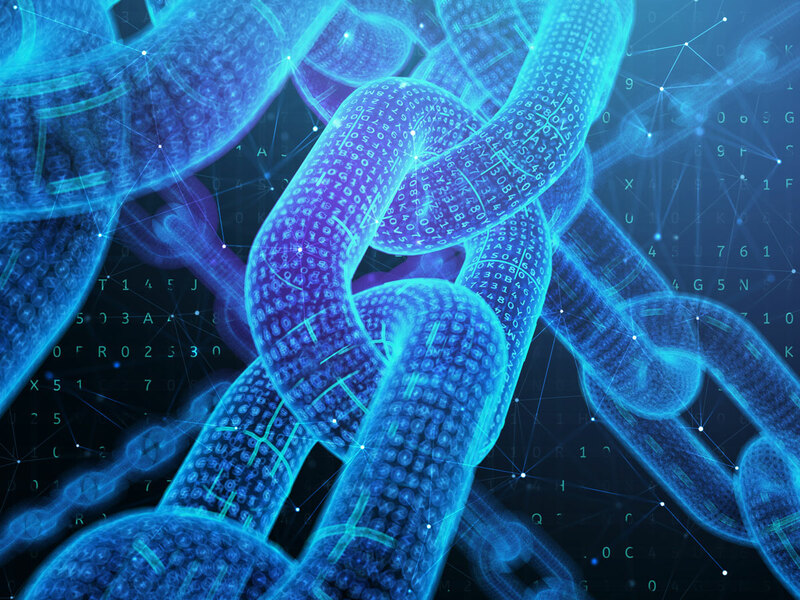 While blockchain may be the solution for the future, Anderson Archival understands and provides the current methods and standards of preservation. However, we do explore myriad methods of keeping data and originals safe from deterioration. If you’d like to explore the options that future technology could hold for the integrity and preservation of your collection, contact us today at 314.259.1900 or info@andersonarchival.com! How do we balance our responsibility to accurately record history and our dedication to preserving it ethically? Experienced archivists know how to separate their personal feelings from the materials they set out to preserve. They aren’t always tasked with endorsing the material, but simply preserving it. Dedicated archivists feel obligated to document the past, regardless of their opinions about the material. In order to examine the role of ethics in digital preservation, consider an interesting case study from SAA’s research. President Warren G. Harding first served in the US senate from 1915-1921, and then in the Oval Office from 1921-1923. Before his time in politics, he owned and operated a local daily newspaper, The Marion Star, with his wife Florence. He eventually became an active and well-known Republican due to his influence in local media, and his air of refinement and confidence led to his rise to national leadership. The illusion of success didn’t last long into his presidency, however. Harding built his political platform on restructuring the government after the havoc of WWI, and this national inertia left a door open for corporations to corrupt the government from the inside out. Under-the-table deals like the Teapot Dome Scandal happened behind Harding’s back. His term as president was cut short when he passed away in 1923 before he could witness the extent of his cabinet’s infractions. Our twenty-ninth president was also quite the Lothario, as White House rumors suggest. Only some of the transgressions during Harding’s short presidential term have been proven, but an affair before his time as president serves as the cherry on top of a less-than-stellar reputation. Before his days in the US senate, Harding befriended an acquaintance of Florence’s named Mrs. Carrie Fulton Phillips, and they began an affair that would last the better part of fifteen years. A closer analysis of Harding’s letters to Phillips reveals the explicit nature of their relationship, as well as hints that Phillips may have been a German spy, though those rumors are yet unfounded. Nearly forty years later, an archivist named Ken Duckett became the curator of manuscripts for the Ohio Historical Society (OHS) from 1959 to 1965. The Harding family was fiercely opposed to any facts coming to light that might affect the former president’s reputation, which complicated negotiations with the Harding Memorial Association’s (HMA) materials. The HMA was carefully filtering the materials and removing anything that painted Harding in a negative light. After Phillips’ death in 1960, Duckett managed to procure a collection of 240 letters and other correspondence between Harding and Phillips. When the box full of letters came into his possession, Duckett protected them in a safe deposit box until the Harding family agreed to hand over their historical materials. But still he worried about their safety and the validity of the historical record. For this reason, he made the controversial decision to secretly create microfilm copies of the letters and hide the originals in an OHS vault. Had the HMA known about these letters and their subsequent copies they would have immediately been destroyed, even though the love-letter-less collection they eventually presented to the OHS left significant gaps in Harding’s political legacy. After the release of a revealing Harding biography, a law suit from Harding’s family, and the resulting media circus surrounding the letter scandal, Duckett was forced to surrender all four known copies of the microfilmed letters—but secretly kept one copy for himself. This guaranteed that Harding’s marks on American history could never be erased, even if those marks were less than dignified. The Harding family then donated the letters to the Library of Congress in 1972 after being assured they would be kept private until fifty years from the date the case was officially closed. The Library of Congress opened the letters to the public in 2014, mere days after Duckett’s death at age 90. What Moderates The Test of Time? Duckett’s choices raise some important questions about the ethics of documenting history. How does one determine what should be preserved? In a perfect world, all material with cultural significance would be around forever for future generations to learn from and enjoy. The act of preserving any material implies that it has inherent value—otherwise, why bother preserving it at all? But should sensitivity or, in this case, public image, override value? Whether Duckett is a hero or an outlaw is up to each reader to determine. Striking a balance between accessibility and restriction is what Anderson Archival strives to do with every collection we work on. In fact, the majority of our projects thus far have been private, and kept confidential. At what lengths should archivists go to preserve history? We leave that decision up to you. Do you have a collection that needs to be digitized, even if it’s only for your eyes? Need help determining the scope of its audience? Contact Anderson Archival today for a free consultation, or call us now at 314.259.1900. As technology integrates into our daily lives, many small businesses are moving from file cabinets to searchable file databases. Does your small business’ data still exist on paper, or has it been digitized poorly? Document scanning services are the solution. Anderson Archival’s team of document conversion services specialists are experts in making your business more efficient and in keeping your data safe from loss, natural disaster, and outdated technology. Your small business deserves the attention to detail and care that Anderson Archival brings to document preservation. What are document scanning services? At Anderson Archival, every preservation project is unique. First, we audit your current data situation. Records come in many shapes and sizes, all of which Anderson Archival is prepared to preserve for you. Whatever state these pages are in, physical or digital, handwritten, damaged by time and nature, our digitizing services will bring your business into the future. How can document conversion services help my business? In cases of natural disaster, scanned copies may be the only records that survive. Boxes or file systems of important client data, historical records, and original publications can be easily lost in a hurricane, tornado, fire or flood. In the event of a disaster, proactive preservation of these documents can save your business. Document conversion begin with the careful scanning of your papers, records, and publications. Then, our team removes any visual flaws from the scanned pages. Tears, stains, or excessive handwriting can obscure historical text. Additional processes like handwriting transcription and image enhancement are also available. Our expert archival team will put your documents through optical character recognition (OCR) software, proofread the text, and create searchable PDFs – preserved and digitally accessible. These new digital databases are more efficient for you and your team and mean a quick keystroke can bring relevant documents to your screen instead of hours wasted looking through boxes for a key phrase or relevant document. Another benefit of these databases is accessibility. Depending on your needs, Anderson Archival offers several options: a local database for a single computer, a database accessible from any computer on a network, a cloud-hosted database, or even a full index on a publicly searchable website. Digital databases remove the worry that comes from operating with modern technology. Malware, ransomware, or data loss from natural disaster or human error, are circumvented by digital copies and guaranteed backups. Anderson Archival is a division of Anderson Technologies, so in addition to the highly personalized preservation process, our managed IT services team can help protect your technological systems and new digital collections from cyber vulnerabilities or attacks. Anderson Archival, a division of Anderson Technologies, is a highly-skilled team of experts. For more information on our digitizing services, email info@andersonarchival.com or call 314.259.1900 today.